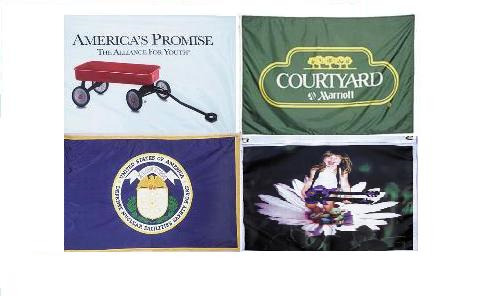 We also offer the latest technology including dye sublimation, allowing the reproduction of photo-quality images to be placed onto a flag or banner. Delivery time can vary depending upon process used and quantity needed. We strive to meet your deadline with each custom order. Below, please find a more detailed description of each process. The Tru-Image printing process prints from an ink-disperse printer instead of using traditional screens. This digital print process is ideal when smaller quantities or reproduction of any digital image is desired. This process allows us to reproduce any of your digital images with excellent penetration and rich colors.